Maybe it was the endless walking through so many showrooms, buildings and pop-up installations at the sprawling High Point Market, but I found myself oggling CHAIRS everywhere - comfortable, beautiful seating just beckoned me!! Here are my top 10 picks - which one would you steal if you could?? 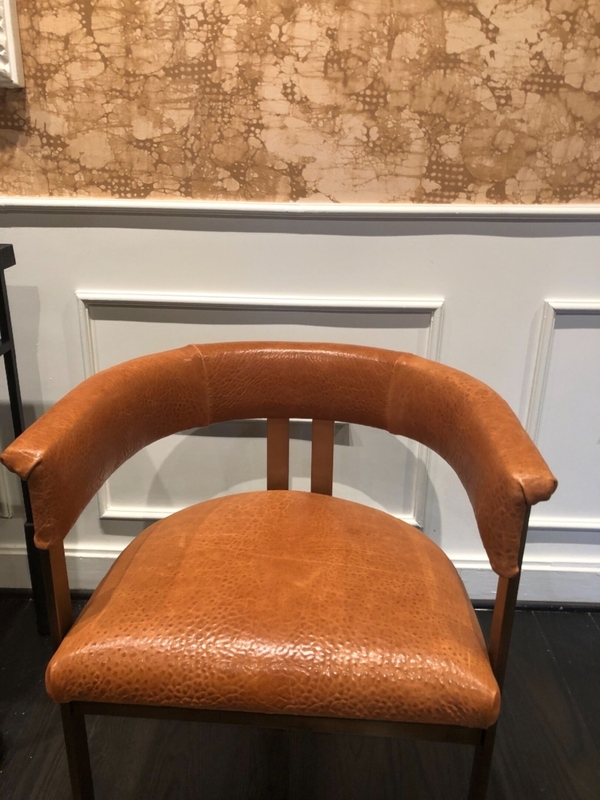 I’m obsessed with this caramel leather chair from Kelly Wearster at E.J. Victor! Looks absolutely sculptural in any room, yet is super comfy. On the lighter side, I think this pretty rattan piece from Universal Furniture’s new “Coastal Living” line has great versatility depending on how you upholster it and where you put it. 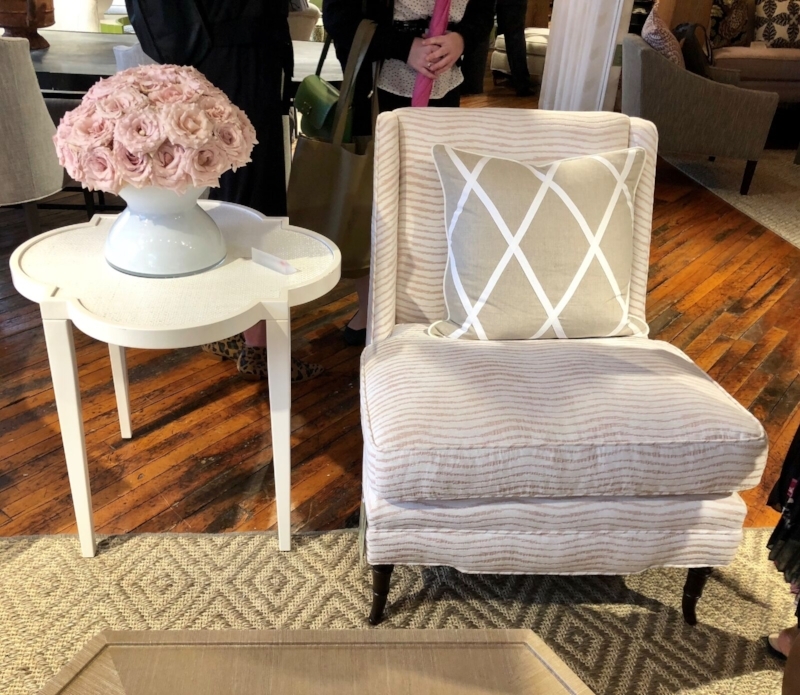 Another great piece from Thibaut Fine Furniture — can go modern or traditional (I have similar slipper chairs from the Kellogg Collection that I’m never getting rid of! Have already upholstered them 2x). One showroom that really surprised me was Stickley Furniture. Their new design director, Marissa Brown, joined this family-owned company from Martha Stewart & is adapting the classic Stickley look to a sleeker, more edited profile - ie; this barrel chair. Look for lots more innovation and rethinking of the brand in her future collections! YES, this is Stickley. Blonder wood, more angular, great loungey-ness (is that a word??:). Many of the people on my tour (you know who you are:) refused to leave this chair from Cisco Brothers because it is divinely comfortable!! Deceptively so. And it’s done in their beautiful eco-friendly fabrics that have great feel. This is on my short list!! Another stunner from Thibaut Fine Furniture…polished but super relaxing spot. SO that’s a wrap! Goodbye to Fall Market & hello to all of the above being shipped to stores near us as we speak. Thank you so much, Esteem Media & High Point Market, for letting me see all these amazing collections up close & personal. I loved every minute & was honored to be with the absolute best design influencers out there!! Can’t wait to see you all at The Design Influencers Conference in Atlanta this February.